Trading under the stock code 'SSMS', our shares ended 2017 at Rp 1,500, with average daily trading volumes of 40,000,000 shares. 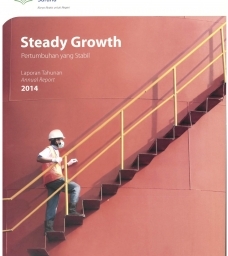 SSMS's market capitalization at the end of 2017 was Rp 14.3 trillion, thanks to its vertically integrated operations that deliver among the best operating efficiency in the industry, which also ensures business sustainability. The following statements present our summary of consolidated financial information and certain operating data as of and for each of the periods presented. 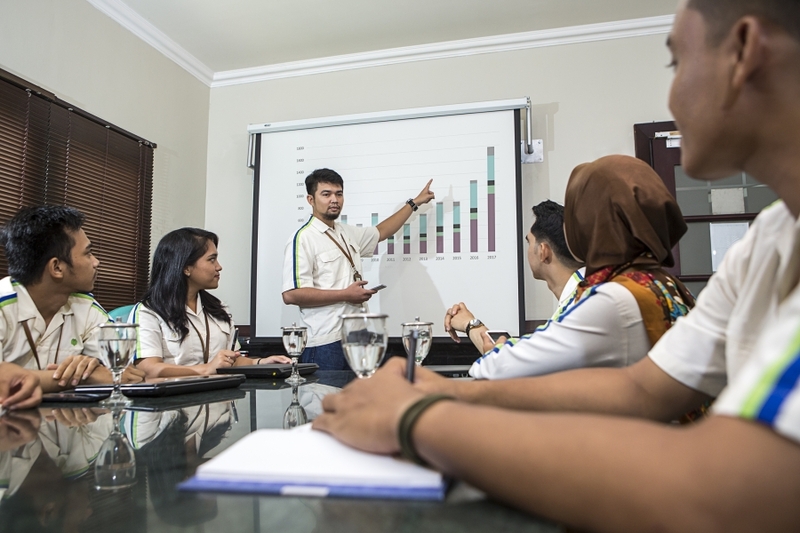 We prepare financial statements in accordance with Indonesian Financial Accounting Standards (“IFAS”), which differs in certain significant respects from IFRS and any possible future adoption of IFRS could have a material adverse effect on the price of the Shares. The information contained in the financial statement, including income statements, balance sheets, statements of retained earnings and cash flows, was provided by ISTA Mielke GmbH (“ISTA Mielke” or “Oil World”), that adhere to generally accepted accounting principles (GAAP) to maintain continuity of information and presentation across international borders. In addition, other market data and certain industry forecasts used throughout this offering memorandum were obtained from internal surveys, market research, reports of governmental agencies, publicly available information and industry publications. As a company which holds itself to the highest principles of openness and accountability, we have a focus on developing transparent and effective corporate reporting. 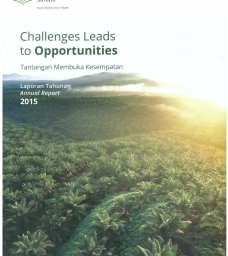 Our Annual Reports therefore aim to disclose how we perform, where we want to be, as well as how we plan to achieve our targets and commitments in realizing palm oil’s potential in the past year. We have provided insights into how our core values drive our strategic objectives and in turn, how this is translated into value creation - both for us and our various stakeholders. The following reports contain information and data about SSMS’s activities for each of the period presented. 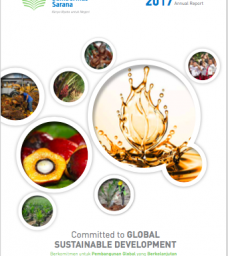 Company’s management presentation contains forward-looking objectives and statements about SSMS’s financial situation, operating results, business activities and growth strategy to implement best plantation management and agronomy practices for long term success of sustainable palm oil industry. This offering memorandum is being made available with respect to the International Offering only. 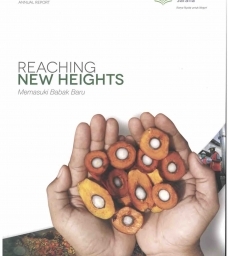 In this regard, BNP Paribas, Singapore Branch and RHB Investment Bank Bhd (the “International Selling Agents”) are soliciting applications from eligible investors resident outside Indonesia on our behalf and on behalf of PT BNP Paribas Securities Indonesia, PT Mandiri Sekuritas and PT RHB OSK Securities Indonesia (the “Lead Domestic Underwriters”). 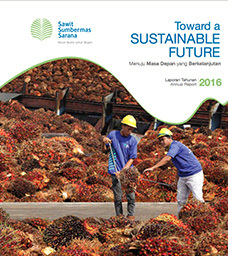 PT Sawit Sumbermas Sarana (SSMS) Tbk is listed on the Indonesia Stock Exchange on 12 December 2014. These reports reveal SSMS’s current stock performance and predictions about the company’s future stock price direction. These documents contain product information, technical data, lists, statistics, and answers to common questions (i.e. FAQs), as well as educational material related to SSMS. This stock info reveals analysis of our company’ stock performance, and the predictions about the future direction of a company's stock price. Subscribe to SSMS’s monthly newsletter, which consolidates information and data about the company’s business activities, and receive updates from us soon.